Today I kegged my Eagle Face Oatmeal Stout, after 3 weeks in the primary fermenter. The beer had settled down to a final gravity of 1.020. From a starting gravity of 1.060, that is 5.3% abv. Not much more to add! 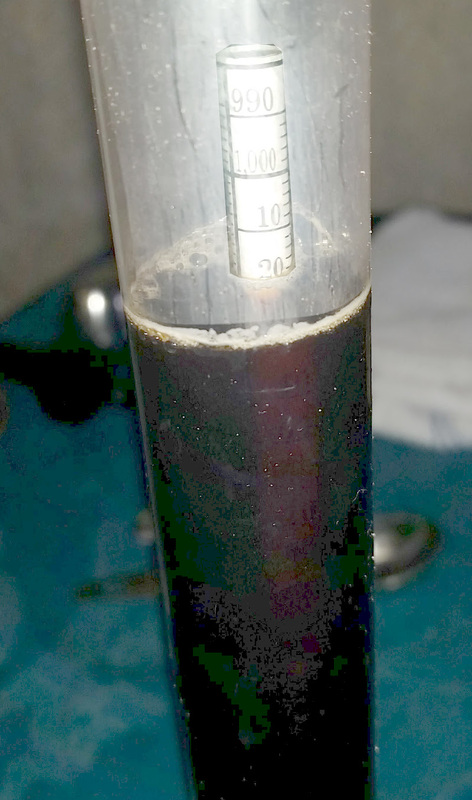 This entry was posted in kegging, oatmeal stout and tagged Eagle Face Oatmeal Stout, EFOS. Bookmark the permalink.